God knows how many parts of Tomb Raider have been released, each game not having a sequential story line and ALWAYS something different and the game series is being booted YET again with the help of Square Enix. I wish that the game had a PROPER story structure first above everything else. The new game still remains nameless but what is known is that Lara is on a mysterious island and as usual she has to explore the island, this time around you can upgrade Lara and her equipment and fast travel to locations on the island. Although what I don’t understand is why is there a ship in the background? could be that this game will tell a different story of how her parents died. 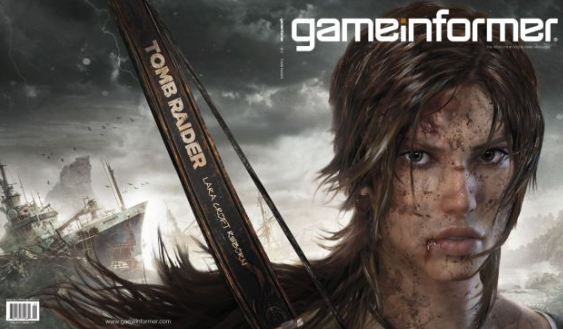 According to GameInformer she will be 21 in this game so I think this may be after the death of her parents or about her investigating the death of them. Either way the game is definitely scheduled for a release next year either in the Q3 or Q4, The only way we can know what the game is about is by waiting for further details.